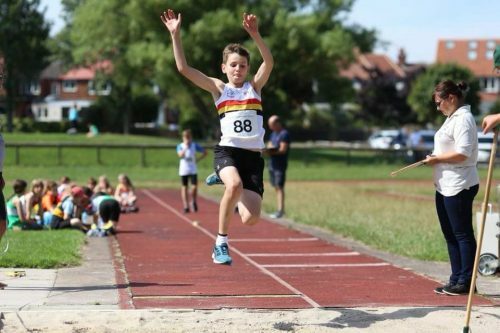 The youngest Junior Harrier athletes attended the final North Of Tyne Athletics Network Grand Prix match on Sunday 2nd September. 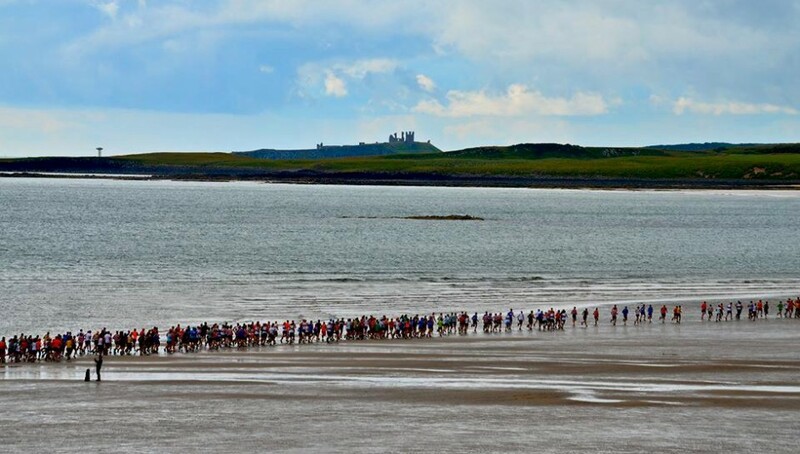 The 6th meeting concluded the overall series with 3 Alnwick boys contesting final overall positions. Leila THOMPSON (Y5) jumped a good personal best of 3.15m in the long jump and managed a throw of over 21m in the howler to finish her season off fantastically. 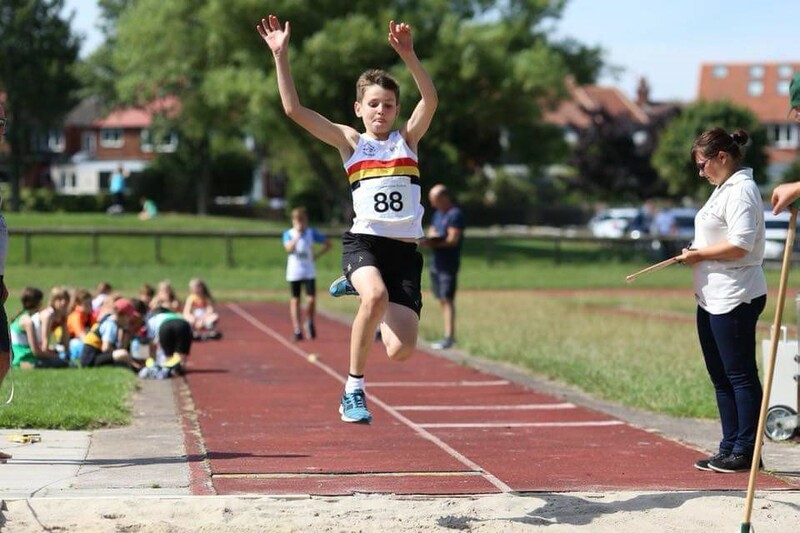 The Y6 boys have competed well together all season meaning Alfie TEMPLE, Oscar CHISHOLM and Harris HALL all entered the final round with a chance of winning an overall medal. Although the competition was tough and in the final standings only Harris won a podium place the boys have had an excellent season and have improved superbly representing the club admirably. Last weekend the annual Tartan Games at Gateshead Stadium received the first really unpleasant day of summer weather. Cold, wet and windy conditions weren’t helpful to the Senior and Junior competitors. However, on the track Lauren BROWN (U15) ran a respectable 800m to finish 3rd and Leila THOMPSON competed well in the sprint and shot put. 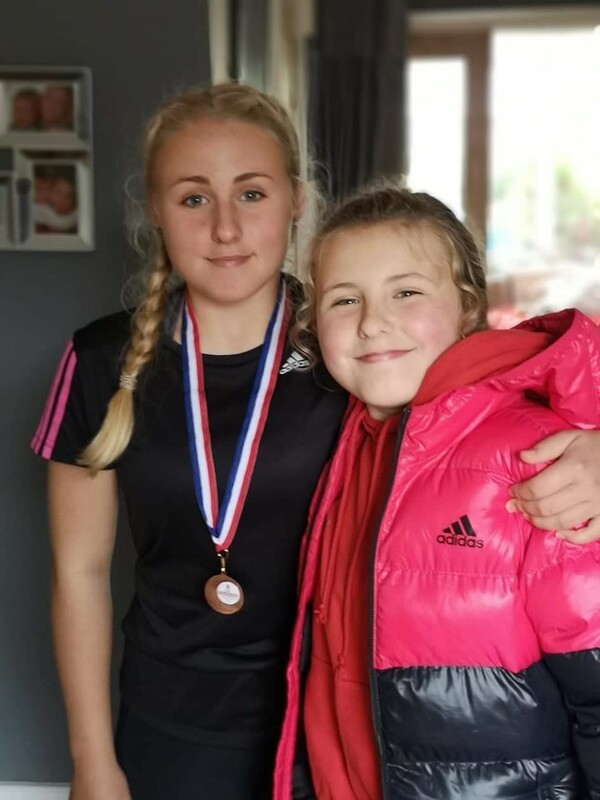 In this competition Leila was able to enter an age group above enabling her to take part in the U13 girls shot put where she threw an excellent 4.74m. Sister Talia THOMPSON was not put off by the weather and once again extended her shot put personal best with her first throw over 9m! Talia has also achieved a personal best of 20.54m in the javelin an event she has improved significantly in over the summer months. Photos are of Harris HALL in long jump action and the THOMPSON sisters.